The “retirement” of two top prosecutors is the latest fallout from the Mongolian murder trial, but the problems run deeper. With the trial of three defendants for the brutal murder of Mongolian translator Altantuya Shaariibuu entering another week, the Malaysian judiciary system is facing arguably its biggest crisis since former Prime Minister Mahathir Mohamad sacked the Lord President, Tun Salleh Abbas, and two Supreme Court judges in 1988, ending the court’s independence. Although no reasons have been given for the retirement, Malaysia’s gossipy legal fraternity seems to believe that the two are leaving because of dissatisfaction over problems in the politically charged murder case. Other top prosecution figures are reportedly considering quitting as well despite the denials. In fact much of the spreading dissatisfaction with the judiciary relates to how the case is being handled. 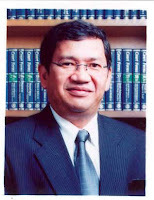 Sallehuddin had been named head of the prosecution team until he was abruptly dropped from handling it by Malaysia’s attorney general, Abdul Gani Patail (pictured left), the night before the trial was to begin. The attorney general’s office issued a statement that the dismissal was because Sallehuddin had been seen playing badminton with judges, an explanation that few in the legal system believed. The prosecution was replaced by a new team led by Majid Tun Hamzah. Before the 28-year-old Altantuya was murdered and her body was blown apart with explosives in a suburban jungle clearing last Oct. 19, she was the lover of Abdul Razak Baginda, the head of the Malaysian Strategic Research Centre and a close advisor to Najib Tun Razak, the deputy prime minister. Abdul Razak was charged, along with Chief Inspector Azilah Hadri and Constable Sirul Azhar Umar, members of Najib’s personal security team, on suspicion that the political analyst had prevailed on the two security men to get rid of her. The Russian-educated Altantuya, who spoke five languages, and the high-flying political analyst were involved in a whirlwind affair that included expensive gifts and trips to Europe, as well as payments up to US$10,000. After the married Abdul Razak had apparently tired of his paramour, the woman came to Malaysia to demand US$500,000 from him as support for a baby he allegedly sired. From the time of the arrests, the case has been treated with extraordinary sensitivity in Kuala Lumpur, with every effort being taken to keep Najib’s name out of the trial – attempts that failed when Altantuya’s cousin testified in court that she had seen photos of Altantuya together with Abdul Razak and Najib at a dinner. Strangely in what is presumed to be a court of law, both the prosecution and the defense asked that her testimony be stricken from the record, and neither side bothered to attempt to subpoena the picture. Nor at any time during the trial has either the prosecution or the defense attempted to ascertain how Abdul Razak, a private citizen, could prevail on Najib’s bodyguards to get rid of the woman without informing Najib about the matter. Najib has never been questioned or asked to testify. Everyone knows Antares, that most of the cases that involve the top brass are just farce. A pantomine played out to entertain the already hopelessly disillusioned system. Long time didn't drop by. Cheers. Fascinating. There is just too much news to digest all over the world (I've been reading blogs/news from all over lately) but I just wanted to say I am grateful for the information you've gathered about the Malaysian Judicial system. Your list of influences and inspiration are interesting as well! Zappa/music is the best, eh? Welcome back to my bog, O.D. :-) That's right, folks, politics is a magic show without the magick. All one can say, ultimately, is: "Gnothi seauton!" (Nope, that doesn't translate as "Naughty seaman"...it means "Know thyself" and it's an inscription adorning the front entrance of the Temple at Delphi).